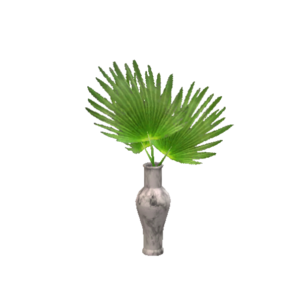 Nothing captures that breezy tropical feeling like a a few palm fronds in a vase. Ok, a palm tree, maybe. 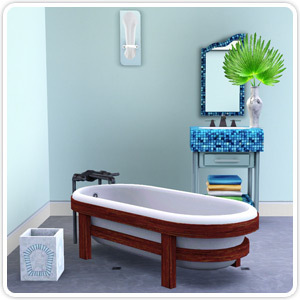 Create a destination bathroom with this set of modern plumbing, decorations, and lights that feature modern curves with a few conventional choices. 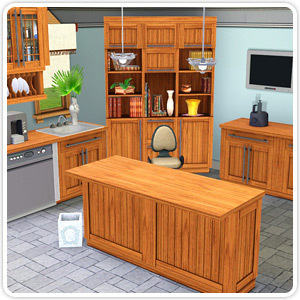 Combine an ultra-modern bathroom makeover with a twist on a conventional kitchen layout with this set that juxtaposes sturdy wood construction with sleek modern curves.